The book identifies the main issues that typically stand in the way of decision making: a narrow view on our problems, short-term emotions, and overconfidence when it comes to predicting the future. 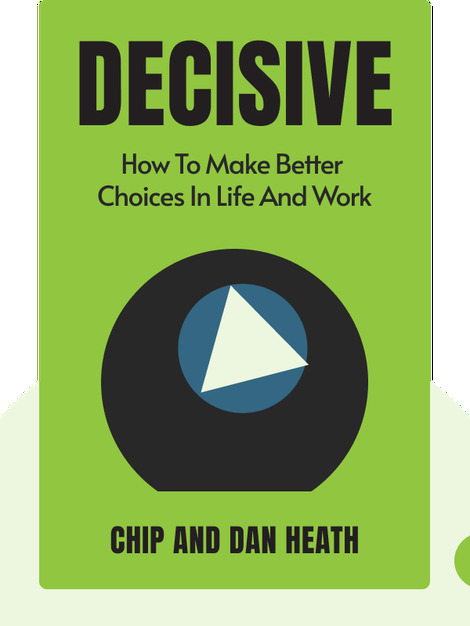 It gives knowledgeable insight into how our decisions are formed and how to avoid making bad ones. 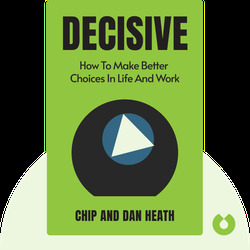 Brothers Dan Heath (Senior Fellow at Duke University, supporting social entrepreneurs) and Chip Heath (Professor in the Graduate School of Business at Stanford University) are the authors of international bestsellers Switch and Made to Stick.